Obviously the exercise is less than a science – which is good to remember when we see Chattanooga 67th, Montana 75th, Charlotte T-86th, Louisiana-Monroe 93rd, North Carolina A&T 94th, Drexel95th, LaSalle 96th, Northeastern 98th, Winthrop and Bucknell T-104th, and New Orleans T-110th. And what on earth are we doing tied with Coppin State at 112th? Coppin State?? The arbitrariness of the boundaries hurts some teams.A 50 year cutoff makes for a neat headline, but Ohio State, for example, can’t count the the 1960 national title or the great class with Jerry Lucas, John Havilicek, Bobby Knight and Mel Nowell.Which leaves the top ranked Ohio State center listed as Garry Bradds rather than Jerry Lucas. West Virginia and Cincinnati are deprived of Jerry West and Oscar Robertson. Indiana gets credit for the Knight years, but not Branch McCracken’s national titles. Indiana had great basketball before Bobby Knight was old enough to throw a chair. But you’ve got to draw the boundaries somewhere. On the other hand, this list has the ETSU Bucs looking down at Valparaiso and Ball State T-118th, Mississippi State T-121st, Bradley 123rd, Virginia Tech T-126th, Navy 130th, Auburn T-144th, Marshall T-159th, Georgia 171st, Appy State T-180th, Penn State 210th, all of the OVC except Murry State (Belmont doesn’t qualify), all of the MAC except Miami and Ohio U., and all of the Southern except for Chattanooga, Charleston and Davidson. 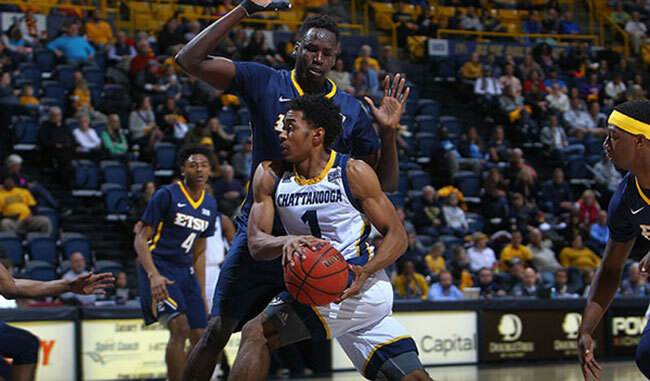 The ETSU tradition can’t be ignored by anyone taking an honest look at the D1 basketball history.